If you follow me on Instagram you’ve noticed I’m traveling in Mexico! It’s great to take a break from house stuff and moving and relax at the beach–so happy to be in Playa Del Carmen! 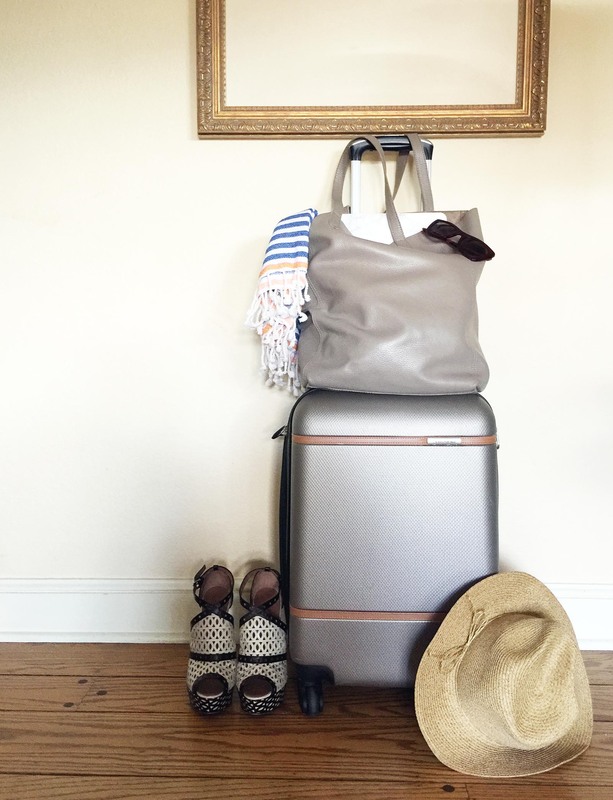 I wanted to share a few of my packing tips and ‘must haves’ for me when it comes to summer vacation traveling, keep reading my list below! When it comes to work travel, I’m typically really efficient with packing and stick to just a carry-on bag. But when it comes to vacation packing, I find that I bring a big suitcase of random stuff that doesn’t flow well together and I end up wearing the same three outfits over and over. So for this trip, I challenged myself to bring a smaller bag and only bring full outfits rather than random stuff. For my carry-on personal item, I made a conscious effort to bring a tote bag that would work well for the pool, daily excursions, trips to the corner market, and everything else. This leather tote from Cuyana is perfect because its sturdy, neutral to match every outfit, and easy to clean off sand. When it comes to skincare, its no secret that I love to mix and match products every day of the week to try everything. 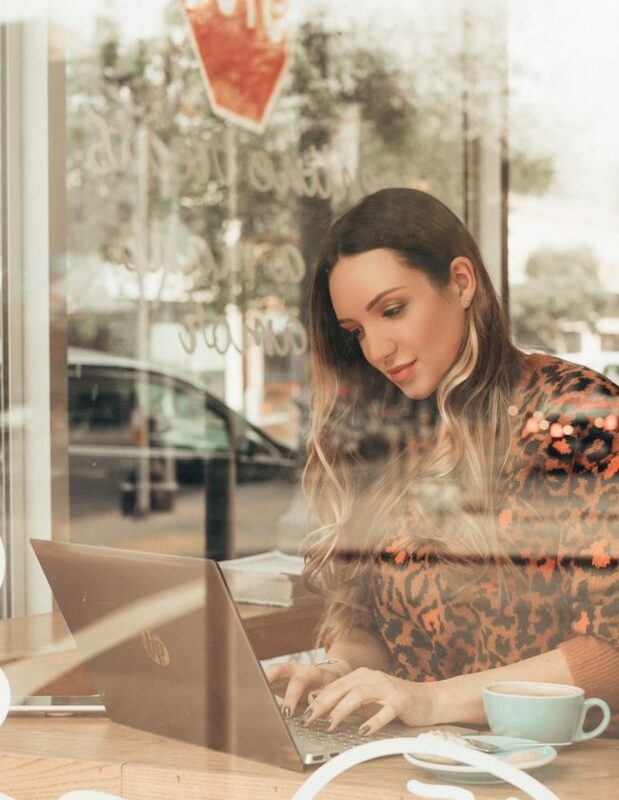 But when I’m bringing a small bag, real estate is a precious commodity and I don’t want to be messing around on my skin when I’m away from home. 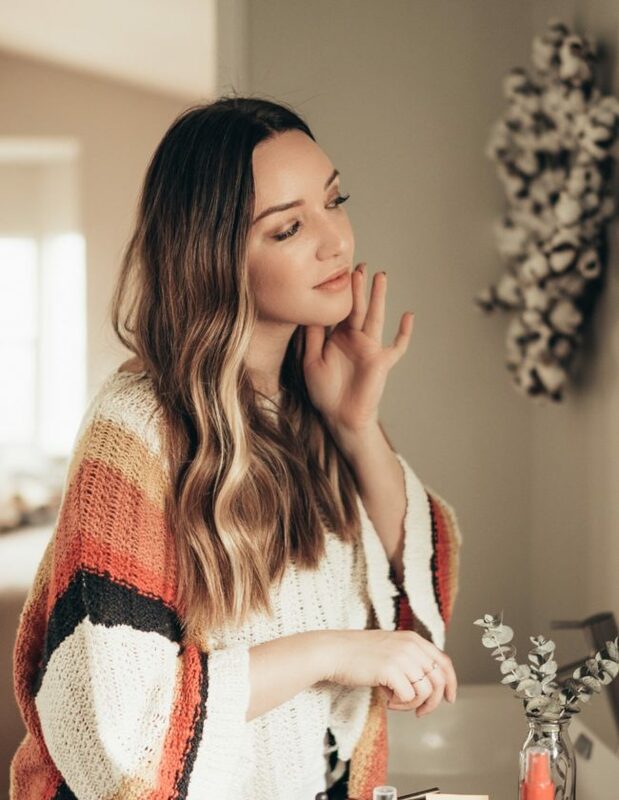 I’ve teamed up with Clinique to revisit my high school standby of skincare–the Clinique 3-step system! I used this back in high school when the cleanser was an actual bar of soap and now I’m packing it to use in Mexico because I know that my skin will thank me. In the past I used this system to deal with teenage acne but in my 20s I’m looking to be preventative and help my future skin be its best. I’m spending a lot of time in the sun this trip–endless hours at the pool and beach, snorkeling and catamaran trips–so I’m keeping my skin hydrated as much as possible (as well as wearing SPF 50+ and reapplying every hour). I’ve had a lot of friends say “I wish I treated my skin better when I was younger” and I’m following the same advice for my future self. I really like this toner and moisturizer in the morning before heading into the sun and its also soothing at night when I’m preparing for bed. Preventative skin care in your 20s is so important to caring for your future skin in your 30s, 40s, and beyond. 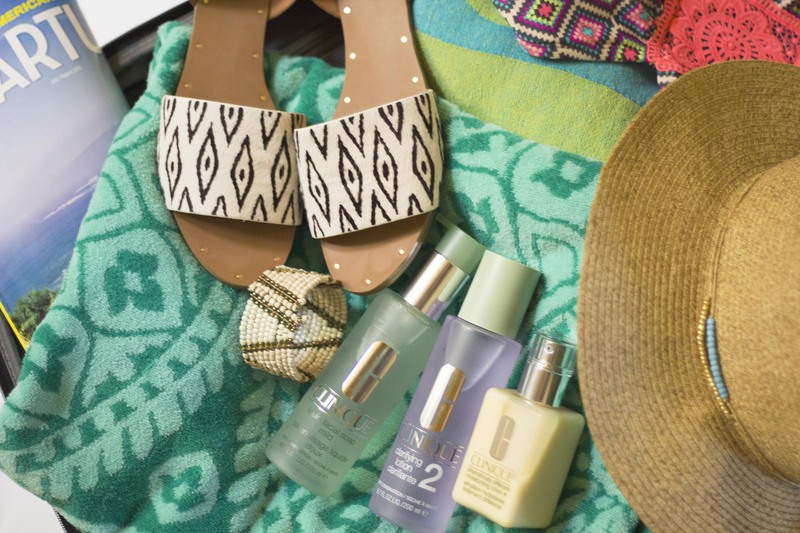 Cleanse, tone, hydrate, and slather sunscreen–That’s my tip for sun safe skin in the summer! This may seem silly but I always bring my own beach towel when traveling on a tropical vacation. The hotel, apartment, or AirBnb towels are typically smaller and I like this one because its so big! I think I got this at Target years ago and I’ve been bringing it on trips ever since. Similar to my sunscreen obsession, I always bring a big hat to protect my face and head from over sun exposure. Sunburn on my scalp and hairline is not fun, so I like a fashionable and functional hat is key for my everyday outfit. And my last tip–I love bringing along a small candle from home to keep in the hotel room. Even without lighting it, it gives off a familiar scent of home that makes a foreign hotel room feel a touch more comfortable. 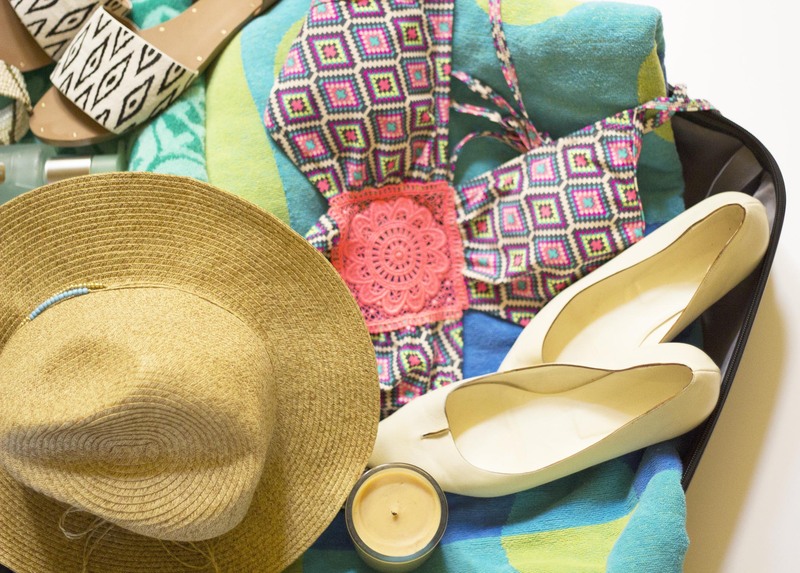 What are your summer vacation staples that you bring on your vacation? Would love to hear your tips!